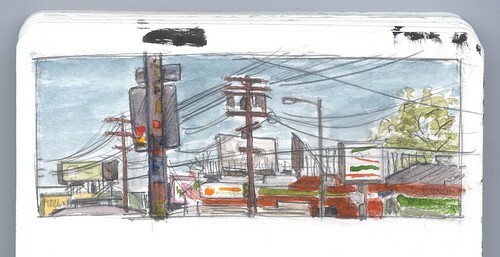 About a year and a half ago, I did some sketching in this same location. 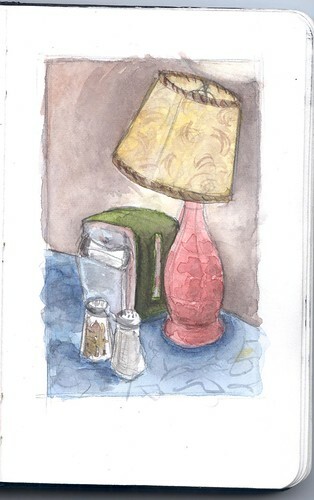 I really like the still-life-with-napkin-holder. There’s something sad and friendly and mid-century about it.